Dr. Daniel Eisenberg is an expert in the traditional Jewish approach to medical ethics issues. He lectures internationally, presenting to professonal and lay audiences at conferences, schools, colleges, and synagogues. To arrange a speaking engagement for your group, please contact Dr. Eisenberg. 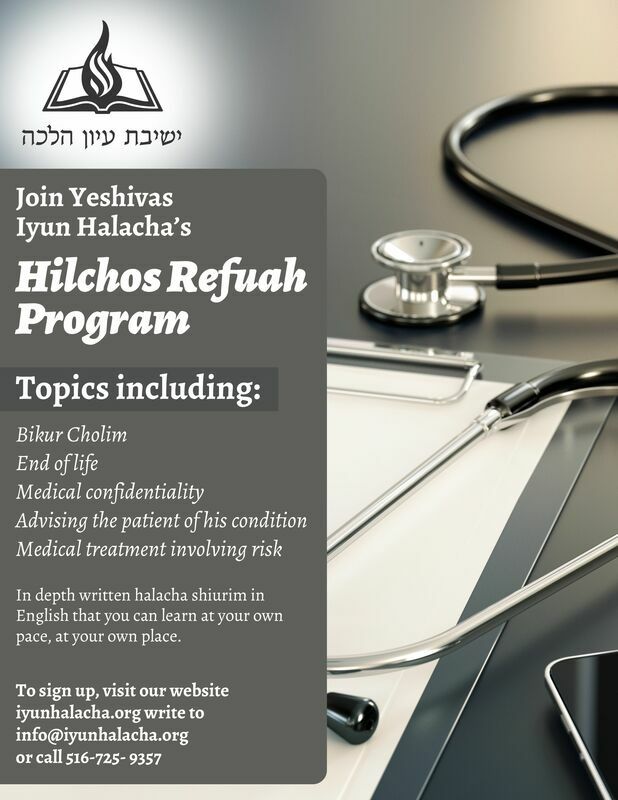 New Hilchos Refuah learning program through Yeshiva Iyun Halacha. *I have no financial connection with this organization- this is posted for informational purposes only.